Apple’s March 25th Event has officially wrapped, and boy was it a big one! Apple CEO Tim Cook graced the stage to introduce the theme of the event; service. 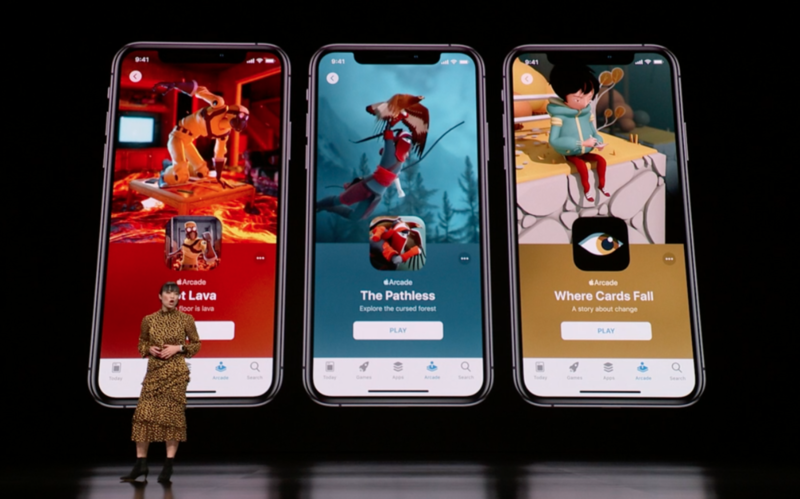 This highly anticipated theme lived up to the buzz as Apple showcased more than four brand new services. Here’s a quick recap of the game-changing services Apple announced yesterday. The first significant announcement Apple made was the addition of Apple News+. Apple News+ gives users access to over 300 magazines. Not only does it provide access to these magazines but it also includes immersive design featuring animated covers, full-screen images, infographics and clickable table of contents. The Apple News+ tab is split into a My Magazines section with categories such as Browse the Catalog, Featured, Business & Finance, and Travel, all curated by Apple to help make your reading experience as pleasurable as possible. Plus, an exciting feature of Apple News+ is that it doesn’t allow for advertisers to track you, allowing for the reader to read their news with privacy. The Apple News+ will start at $9.99/month and will be available for family use. Apple News+ is available now and the first month is free! - Here’s how to sign up. Up next, Tim Cook unveiled what is expected to be a truly revolutionary service; the Apple Card. This new credit card created by Apple is designed for iPhone users and will be useable anywhere they accept Apple Pay including stores, apps, and on the web. Upon availability, you’ll be able to sign up on your iPhone and start using the card within minutes! 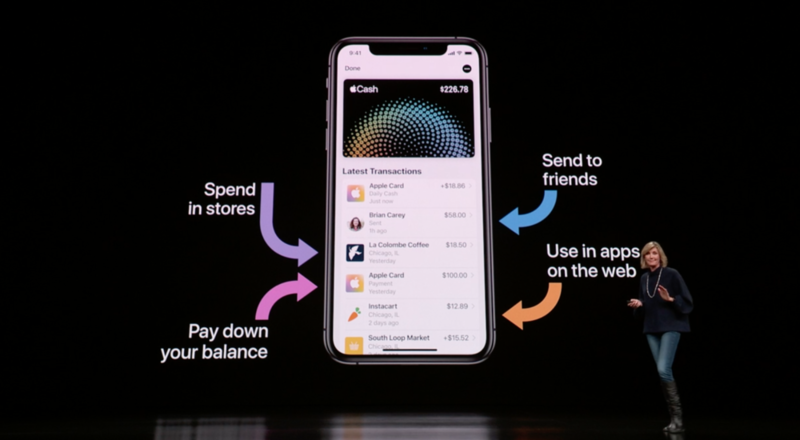 Apple Card is stored in the Wallet app and will show an up-to-date statement of what you owe and what you have spent at any time. Even more thrilling than the convenience is the plethora of rewards that comes along with the new card. Users will earn Daily Cash, which is equivalent to real money earned every single day! 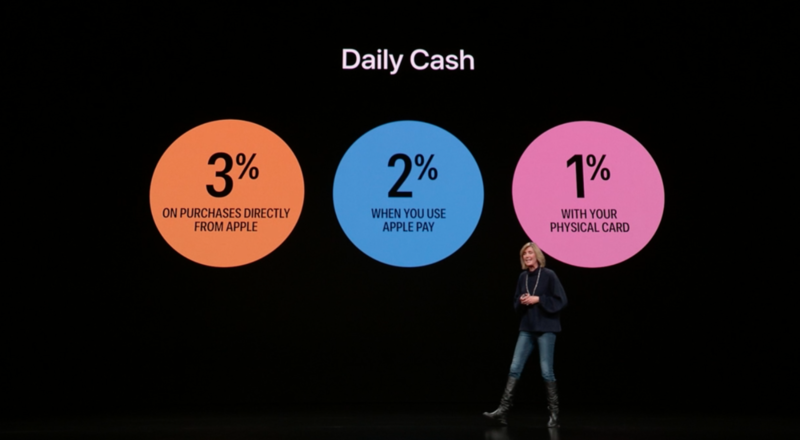 Touting a whopping 2% back when using Apple Pay, 3% back on purchases directly from Apple, and 1% back when you use the physical (titanium!) card, Apple Card will have no late fees, no annual fees, and no international fees or over-limit fees. Also, no penalty interest rates, even if you miss a payment. What?! Apple has partnered with Goldman Sachs as the issuing bank and also with MasterCard, allowing Apple Card to be accepted all over the world. Updates to follow as they become available! Apple Card will be available in Summer 2019. After the resounding Apple Card announcements was Apple Arcade. This service will be a game subscription for mobile, desktop and Apple TV. The subscription will include 100+ new and exclusive games. 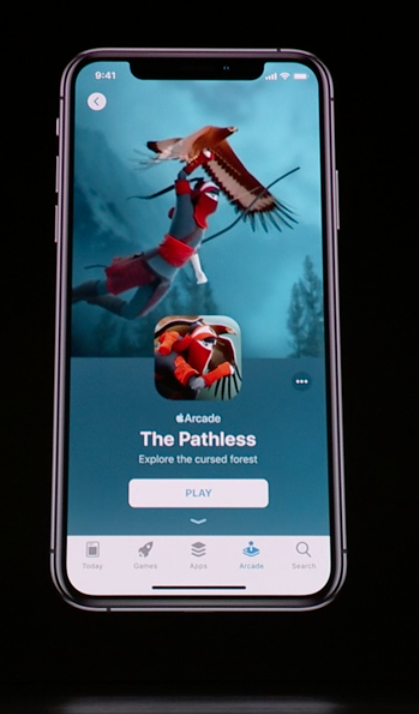 Apple Arcade will have a dedicated tab on the App Store, and a subscription will enable users to download and play any game in the Apple Arcade. Bonus: Apple Arcade will be 100% advertisement free and the subscription will be an all-you-can-play model. Apple Arcade will be available in Fall 2019 in 150+ countries/regions. Pricing and more details to come in the following months. The final announcement Apple made was a new TV streaming service. Apple wants to become a one-stop entertainment destination. Apple has a two-prong strategy to accomplish this. First, they are adding a new TV Channels interface bundling streaming apps and networks within their Apple TV app. Users will be able to choose what channels and streaming apps they want and will charge accordingly. This service will be coming to Apple TV this fall. Part two of their one-stop entertainment strategy is Apple TV+. With Apple TV+, Apple for the first time will be making original programming. Apple announced a slew of original shows and movies coming soon. These include a new anthology series produced by Steven Spielberg, a new TV series called “The Morning Show”, featuring Reese Witherspoon and Jennifer Aniston, a new TV series called “See” featuring Jason Momoa, a 30 minute anthology series called “Little America” featuring Kumail Nanjiani, and a series called “Little Voices” executive produced by J.J Abrams and Sara Bareilles. Another major get for Apple TV+ users is Oprah! Yes, Oprah will be a part of Apple TV+. 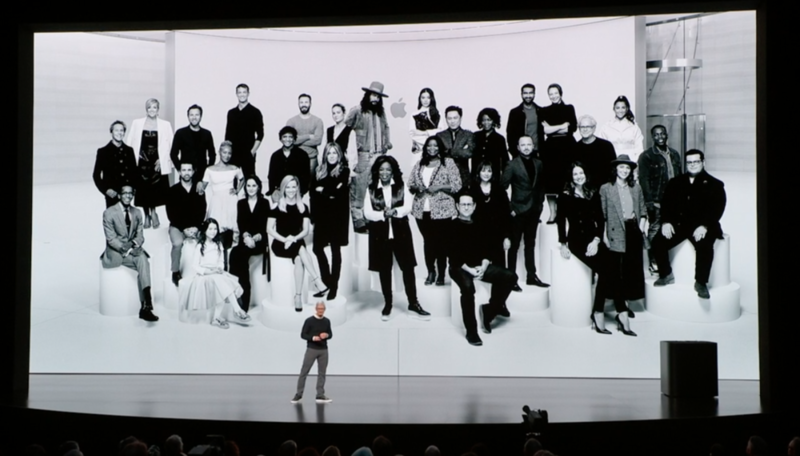 Oprah announced two new documentaries coming to the service with the additional promise that her book club will be returning through Apple. All of Apple’s original shows and movies will be available with an Apple TV+ subscription in the Apple TV app. Apple TV+ is ad-free and will be coming this fall. More details to follow in the next couple of months. The event was titled “Show Time” and it did not disappoint. With four new services announced there is a lot to sink our teeth into. Apple News+ is available now, with Apple Card following this summer and Apple Arcade and Apple TV+ coming in the fall, there is a lot to look forward to. Stay tuned for more information, but for now, that's all folks, what an incredible day of innovation from Apple!